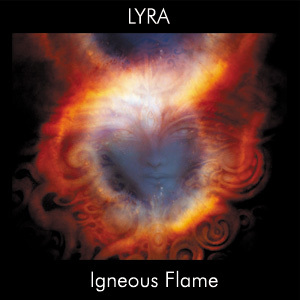 A year in the making, Igneous Flame has released his 10th solo album 'Lyra'. 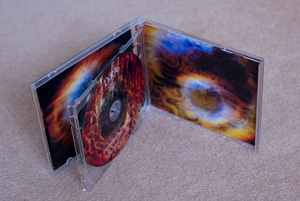 Since his 2003 debut release 'Tolmon', Igneous Flame has sought to create an evolving body of work and whilst 'Lyra' continues in that theme, it differs in that the approach taken to creating this work was significantly different to that taken for his previous albums. The work was created using a previously unused set of tools and processes in order to experiment and explore in new directions. A diverse range of sounds sources and textures were employed and extensively processed. The primary instrumentation being electric guitar, nylon string guitar and synthesizers. The work was created whilst engaged with the natural world as a primary source of inspiration - work in progress mixes were auditioned whilst walking through local woodland and re-worked back at the artist's studio. This process was repeated many times, until they were felt to be finished. The material is primarily ethereal and meditative, with intermittent high-energy bursts and characteristic 'trans-tonal shifts'. In terms of production, a 'clean' approach was employed - full dynamic range was observed and preserved. For the 'technically interested', please see my 'Process log' for more detailed information on the creation of the album. Until 2012, Lyra is available for a considerably lower price ($ 9.99) from CD Baby, as opposed to double that on iTunes, Amazon etc. 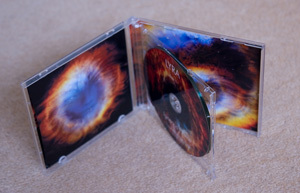 Limited Offer - anyone buying the Lyra CD-R will recieve a free disk of high-resolution Igneous Flame videos (wmv files / 4.28 GB) - high-res versions of 42 videos from my youtube channel. March 28th 2012 - CD-Rs - Now sold out !